Design work ranging from email design and content writing, to print collateral and social media account management for the American Alpine Club's Cascade Section. 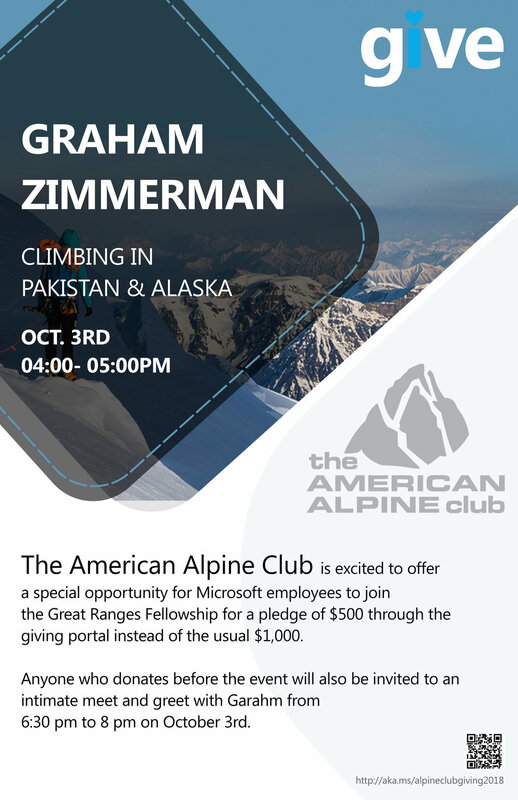 Poster made in collaboration with designers from Microsofts Office Edu Team for a special presentation by Graham Zimmerman in support of the American Alpine Club’s Great Ranges Fellowship. This presentation occurred as part of Microsofts Annual Giving Month.